CDS exam is held twice a year, so let’s see how were last three papers? Often the new players make mistake of preparing too much current affairs, but as you can see in the table, majority of the paper is made up of static/theory topics only. Even in Economy and Polity while lot of current events take place but majority of the MCQS are centered on theory only. General Studies Manual (for filling up the gaps/topics left in NCERTs + for practice of mock questions) you don’t need to buy latest edition, because static topics (history, geography, science) remain one and same in all edition. So grab second hand/used copy for a cheaper price or borrow it from a friend. Any publication will work: Unique, TMH, Spectrum etc. Modern British raj and freedom struggle. Culture Music, painting, dance, religion, architecture, books etc. in above 3 periods. World history update: in CDS(II)2013, UPSC did ask a few questions from World history. You may consult Lucent’s GK book + Mrunal.org/history for this. more details soon. Let’s see how much history was asked in last three papers? In old times, UPSC used to ask trivial GK question from kings, war timelines etc. =waste of time in preparation. But nowadays, questions usually centered around culture or just ‘true/false/find correct statement; cause-effect-reasons’ type questions. I suggest you look at last 2-3 years papers by yourself (given in the appendix) and see it yourself. Jainism-Buddism (includes Asoka etc. )- Although this can be classified under culture. After that: GS Manual and finally mock questions. If you’re willing to take the risk (or running out of time), you can even skip this topic (kings, wars, dynasties etc.). Because rarely 1-2 question come from medieval portion nowadays. But do prepare culture related things from medieval period. After that: Read the Medieval history section in your GS Manual and finally mock questions. But keep in mind: GS manuals contain truckload of kings and timelines in the medieval period, don’t waste time mugging them up. Read GS manual multiple times for this section. OR use Spectrum publication’s brief history of Modern India. And then solve the Mock Questions given in the GS Manual. “yeh mujse nahi hoga / science is not my cup of tea” = this is loser talk. You want to pass CDS or SSC, then science has to be prepared, whether you like it or not. Besides, NCERT textbooks explain the science in very lucid, layman friendly manner, so science is that not difficult, just read and revise often. Because, you may be good at the technical and latest things happening in your graduation field, but UPSC asks from basic principles and theories that might have evaporated from your head after you left highschool years ago. 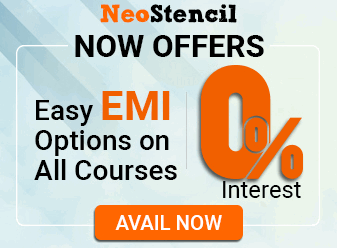 Therefore, no matter what your academic qualification is, always start with NCERTs. This is to be prepared from NCERTs, then General Studies (GS) Manual and finally mock questions at the end of GS Manual. (optional): you may also read NIOS material on Geography for additional grip over the subject. Free download links @bottom. Please note: in GS Manuals, they often go into very minute details, like chemical formulas of hormones etc. don’t waste that much time. You just need basic science concepts, principles and their day-to-day application clear. goto library, read whatever competitive magazine you get (CST, Pratiyoigta, Chronicle, Wizard) and note down important things from science-tech pages. Physical Universe, earth, atmosphere, weather, climate etc. World Again not much asked from this. Again, our approach is NCERT => GS Manual => Mock questions. Note: In GS manual, they sometimes go in very minor details e.g. state where particular breed of goat/pig/cow/buffalo is found. don’t waste time in such details. Even for Indian geography, you should know broad things. If you try to prepare every detail, you’ll be stuck there forever. When you go to universe, there is no dearth of GK regarding relative size, color, distance of various planets etc. but again keep the time factor in mind. Here UPSC often asks questions on rivers-tributaries. but then again, no point in mugging up beyond a level. Apart from NCERT, also read chapter 30 from India Yearbook (free download link @bottom). Agriculture MCQs are slowly getting more attention in both CSE and CDS exams. Here is the list of NCERT chapters that should be specifically read and revised. More emphasis on soil-types, crops and cropping technologies. As far as CDS is concerned, majority of EnB questions are centered around static/theory portion. For EnB, the foundation /base material is NIOS (free download links @bottom). 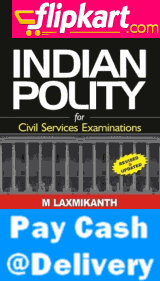 In both Civil service exam and CDS exam, polity MCQs form a signification portion. The cost: benefit ratio is quite good. Depending on your time and mood, the NCERT, NIOS political science and sociology textbooks. (again free download @bottom). the mock MCQ questions given in Laxmikant + also in your General studies manual. Note: the short explanations given in appendix of every chapter= should be read. Single time reading of Laxmikanth= useless. Revise his book, minimum 3 times. Finally GS Manual Mock questions for practice. You don’t need to specifically buy “Indian Economy by Ramesh Singh” for CDS exam, but if you have it (or can borrow from a friend) then do read it. until now we saw how to prepare the static / theory areas viz. history, geography, science, polity, EnB and economy. Now comes a ‘current-affairs-oriented’ topic: International events. What separates CDS exam from CSE (IAS/IPS) exam is the specific attention paid to IR and defense MCQs. So, what type of questions are asked in International events and from where to prepare their answers? Goto library, read whatever competitive magazine you get (CST, Pratiyoigta, Chronicle, Wizard) and note down important things from diary of international events + Person in news. Agreements and dispute between countries for some border, island etc. Election of President / PM and which party does he belong to. (Although I count them under “Misc.GK=>Person in New (PIN)). Basic things about international organizations such as UN, UNESCO, WTO, ASEAN, NATO etc. The questions about various missiles, DRDO technology, joint-military exercises with other countries. although 2013’s CDS(I) did not contain any specific questions from Defense but 2012’s both CDS (I & II) had questions from defense. beyond that, again Goto library, read whatever competitive magazine you get (CST, Pratiyoigta, Chronicle, Wizard) and note down important things from diary of international events + Person in news. It involve sports, awards, books-authors, persons in news and all other stupid infinite trivial database. Books: award-winners or someone who recently died. Revision is essential. Whatever you read in NCERT, NIOS or Laxmikanth, keep a target of revising it multiple times. Otherwise, you won’t be able to recall the exact details in the exam and UPSC’s MCQs are very tricky. When you get bored reading General studies, then solve maths / English question. when you get bored with maths/english, resume your General studies preparation. Don’t go in the exam-hall with a ‘cutoff’ mindset. Don’t push luck in negative marking. Don’t tick answers based on guesswork. maths, english strategy will be posted soon. But since 2012, they stopped. However, for CDS you don’t need a latest edition and you don’t need to refer all chapters. In your own interest you are advised to undergo a preliminary medical check up for wax in ears, refractory error of eyes, fungal infection of skin and also gynaecomasties etc for female candidates before reporting for the interview. The Medical standards for candidates of Naval Aviation Branch will be the same as for flying duties of Air Force. The minimum acceptable height for male candidates is 157.5 cms. ( 157 cms for Navy and 162.5 cms for Air Force ). For Gorkhas and individuals belonging to hills of North Eastern region of India, Garhwali and Kumaon, the Minimum acceptable height will be 5 cms less. In case of candidates from Lakshadweep, the minimum acceptable height can be reduced by 2 cms. ± 10% ( for Navy ) departure from the average weight given in the Table above is to be considered within normal limit. However, in individuals with heavy bones and broad built as well as individuals with thin built but otherwise healthy this may be relaxed to some extent on merit. The acceptable weight for Air Force candidates will be + 10% of the average weight given above. Myopia should not be more than 3.5D and hypermetropia not more than 3.5D including Astigmatism. For women candidates the minimum acceptable visual acuity are : Distant vision (corrected) better eye 6/6 worse 6/18, Myopia of not more than minus 5.5 including Astogination. A candidate must have good binocular vision. The colour vision standard will be CP-III for Army. For Navy it will be CP-I for Executive Branch and CP-II for the rest.. A candidate should be able to recognise red and green colours. Candidates who have undergone or have the evidence of having undergone Radial Keratotomy, to improve the visual acuity, will be permanently rejected for all the three services. In order to detect PRK/LASIK all the candidates at SMB will be subjected to the measurement of Axial length by A-Scan biometer. Notes : The candidates will be asked to declare at the time of medical examination that he has undergone LASER procedure as above. He will be subjected to a thorough corneal and retinal evaluation by the ophthalmologist. However, he will be declared unfit at the SMB and those found to be within the acceptable limits for approval as above will be advised to undergo an Appeal Med. Board. During AMB he will be subjected to a thorough corneal and retinal evaluation as also scrutiny of the records by a Senior Adviser in Ophthalmology. For women candidates if pregnancy is detected at any stage, after selection at SSB or during training will debar the candidates from grant of commission. The following conditions detected on X-ray examination will be disqualifying for entry to Armed Forces. Incomplete Sacaralisation Unilateral or Bilateral. Chest should be healthy. The minimum range of expansion after full inspiration should be 5 cms. In recording the measurements, fraction of less than 0.5 cm will be ignored, 0.5 cm will be recorded as such and 0.6 cm and above will be recorded as 1 cm. X-Ray of the chest is compulsory and will be taken to rule out any disease of the chest. Leg Length Min. 99 cms. & Max. 120 cms. Thigh Length Max. 64 cms. Sitting Height Min. 81.5 cms. & Max 96 cms. Manifest Hypermetropia must not exceed +2.00 DCYL ‘Myopia-NIL’ & +0.75 DCYL. at 6 metres Exophoria 6 prism dioptres Esophoria 6 prism dioptres Hypo-phoria/Hyperphoria 1 Prism Dioptres. at 33 cm Exophoria 16 prism dioptres. Esophoria 6 prism dioptres; Hypophoria/Hyperphoria 1 prism Dioptres. Audiometric Test : Audiometric loss should not exceed + 20 db in frequencies between 250 Hz and 4000 Hz. Routine ECG and EEG should be within normal limits. Candidates who are unfit may apply for Appeal Medical Board (AMB) to be completed within 42 days of SMB and may request for Review Medical Board (RMB) within one day of completion of Appeal Medical Board. Candidates declared unfit by AMB will be intimated by the President AMB about procedure of challenging the findings of AMB. The candidates will also be intimated that holding Review Medical Board (RMB) will be granted at the discretion of DGAFMS based on the merit of the case and that RMB is not a matter of right. The candidate should request for RMB if he/she so desires to ADG Rtg. (CDSE) Army Hq., West Block-III, RK Puram, New Delhi.-110066 and a copy of the same is handed over to the President of AMB. The O/o the DGAFMS will inform the date and place (Delhi and Pune only) where the candidate will appear for RMB. sir the study material is very very usefull sir. i just want that u could provide us english and maths study material aswell.? Ok sir, but what’s the mean of 2to 4 km ,is it either 2 or 4? . Mrunal ji what about English paper ,have u put anything relating to it? Pls teach me how to prepare fr English paper in CDS? sir how can we prepare for english? please share the English study plan also. Good study plan I request you please keep notifying us. i am currently preparing for CDS 2/2016 . MATHS and ENGLISH are my strong subjects but i am not able to cope up with General studies . Please guide me how to go about the general studies paper in a month ( i only wish to clear the paper i.e 45-50 marks ) . Hello Sir, Thank you for the information! Could you also put up an analysis of topic wise break up as the past 2-3 papers we can see a shift towards more importance to current affairs similar to the civil services examination. Please send me notes for cds preparation,I’m preparing for it…. Female with myopia of -6 is not eligible to give exam? I’m preparing for cds2 2017 .
hello sir! sir im preparing for cds ota 21017 which is going to help in november so sir i would like to have latest edition of gk general knowldge so sir kindly mail me or jus update it so that i can refer it as soon as possible. How can we prepare for english in cds exam. Thanks for this information Sir. We r waiting for ur next content about CDS 2ND 2017. I applied for AFCAT & I m going to attend CDS. My insisors(front teeth) are with a gap. Is it a problem? Good Afternoon Sir. I am preparing for CDSE II 21017 which will be held on 19th November. So Sir I would like to know the latest edition of general studies. So Sir please kindly email or just update it on your portal, so that i can refer to it as soon as possible.